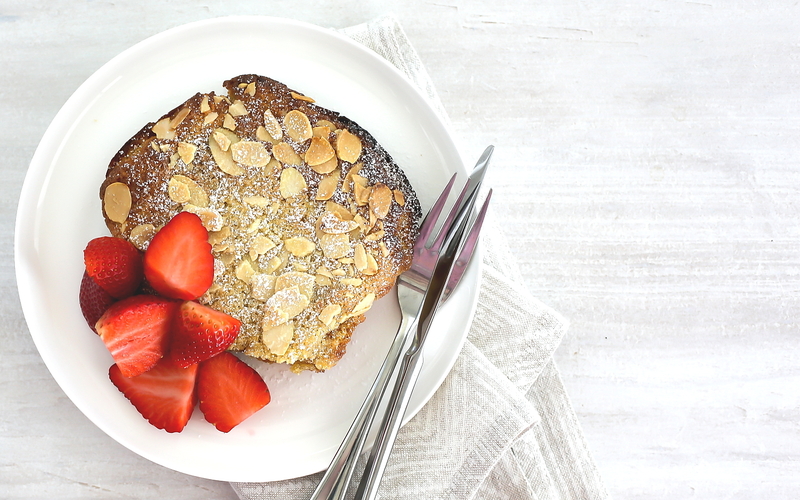 Bostock doesn’t look like much on the plate but it has it all – it is sweet, rich, soft and crunchy, and nutty. 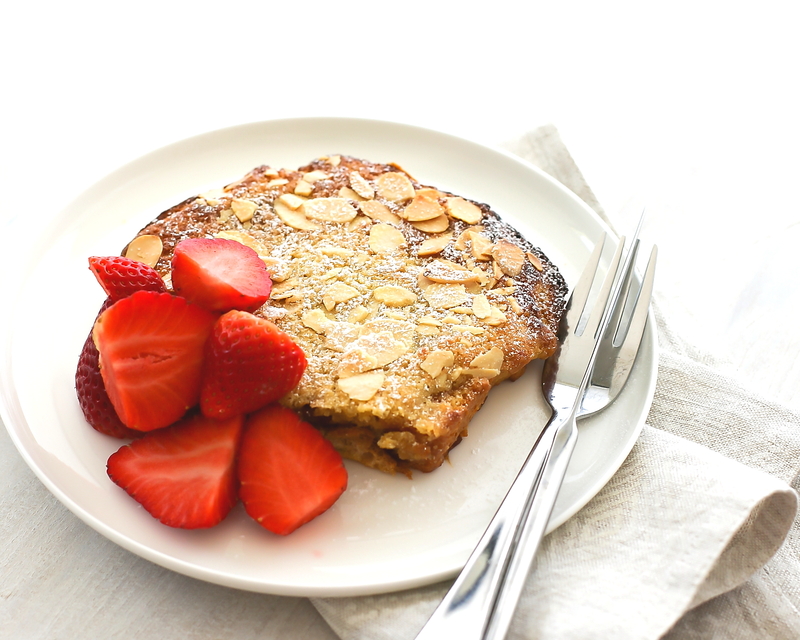 It can be described as the love child of French toast and an almond croissant. It originates from the French Champagne region and is a brunch mainstay in France but virtually unheard of in Australia. I am baffled as to why it isn’t more popular outside of France because it’s so easy to make and so thoroughly delicious! 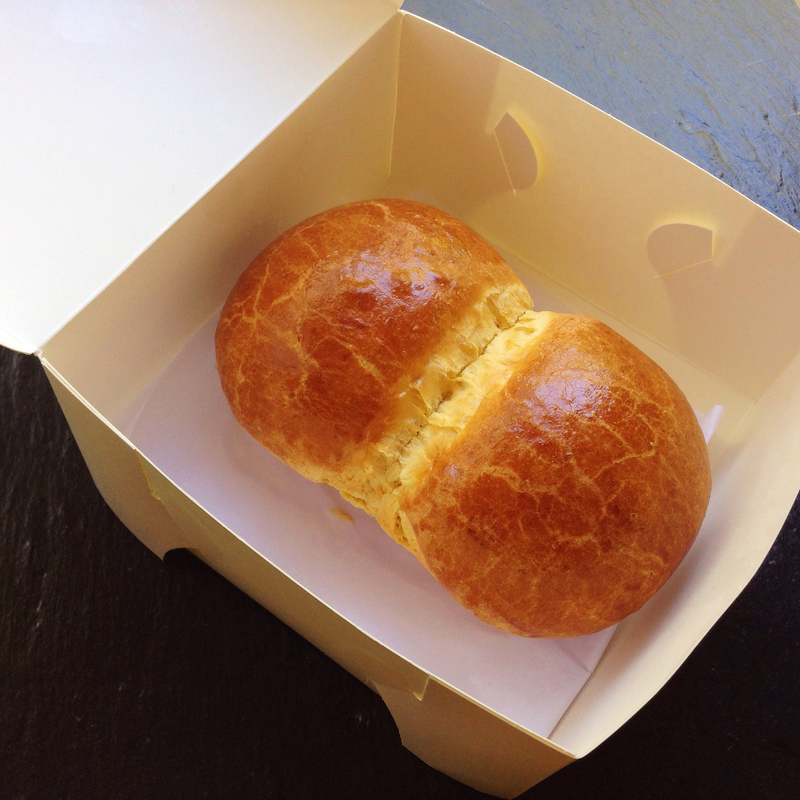 It is made from brioche which is a little hard to find in the suburbs of Brisbane (I bought one from Jocelyn’s Provisions, New Farm). 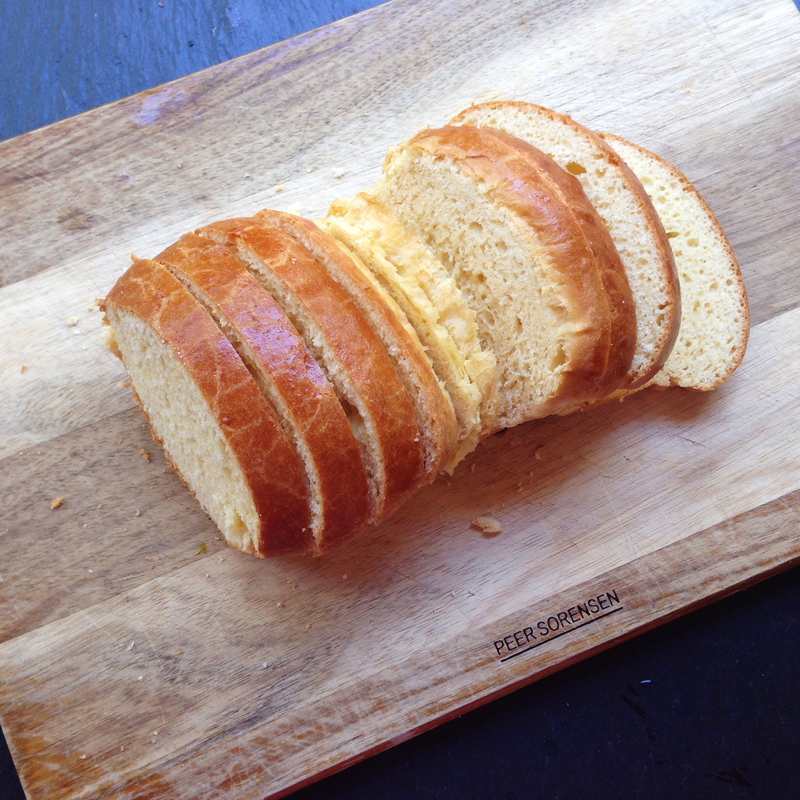 However, any type of thickly-cut day-old bread will be fine if you are unable to find brioche. 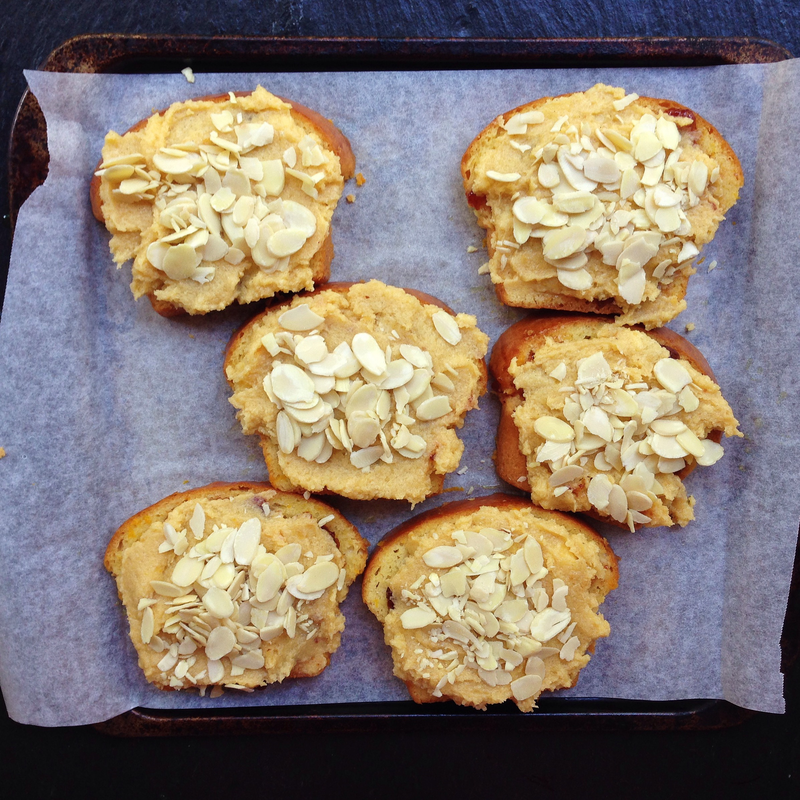 Bostock is quite easy to put together and most of it can be prepared ahead of time. It all cooks at once in the oven and so, unlike French toast or pancakes, you won’t be stuck at the stove flipping. This frees up your time for more important brunch-time activities such as coffee and conversation. It is equally delicious warm or at room temperature but best eaten the same day it is made. Enjoy it for brunch this weekend! 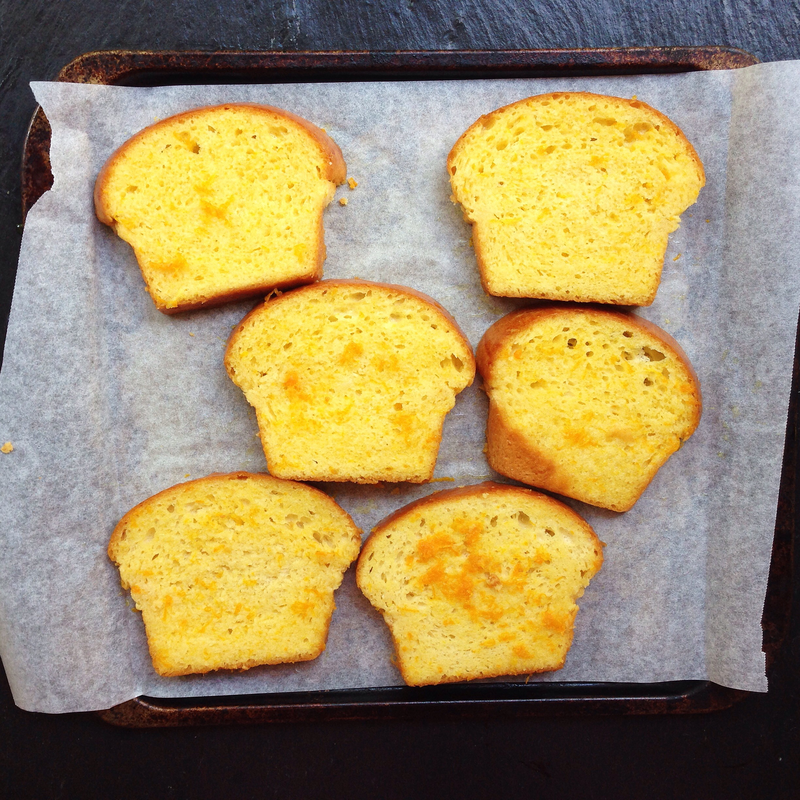 6 slices of day-old brioche (or other bread); about 2cm thick. 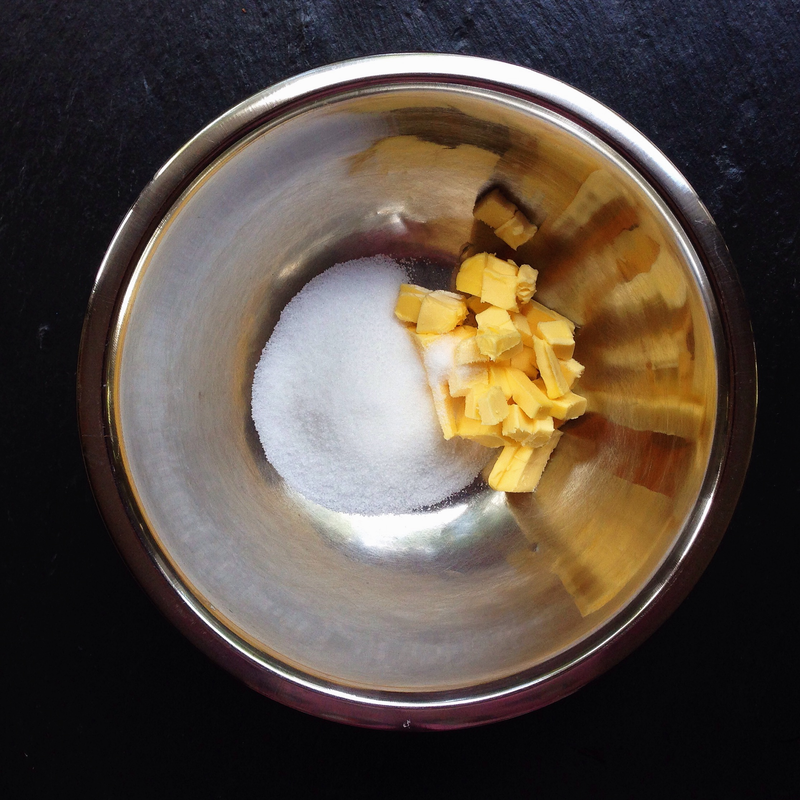 Place the sugar, water, juice and zest in a small saucepan. Heat until the sugar dissolves and it starts to simmer. 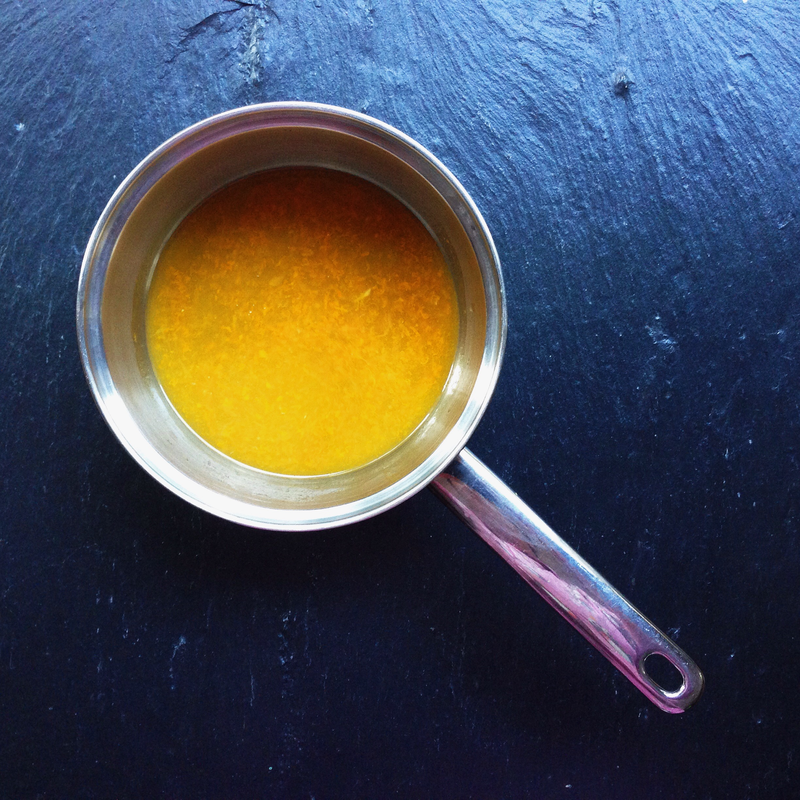 Remove from the heat, add the Grand Marnier, stir, and allow to cool to room temperature. Cream the butter and sugar together. 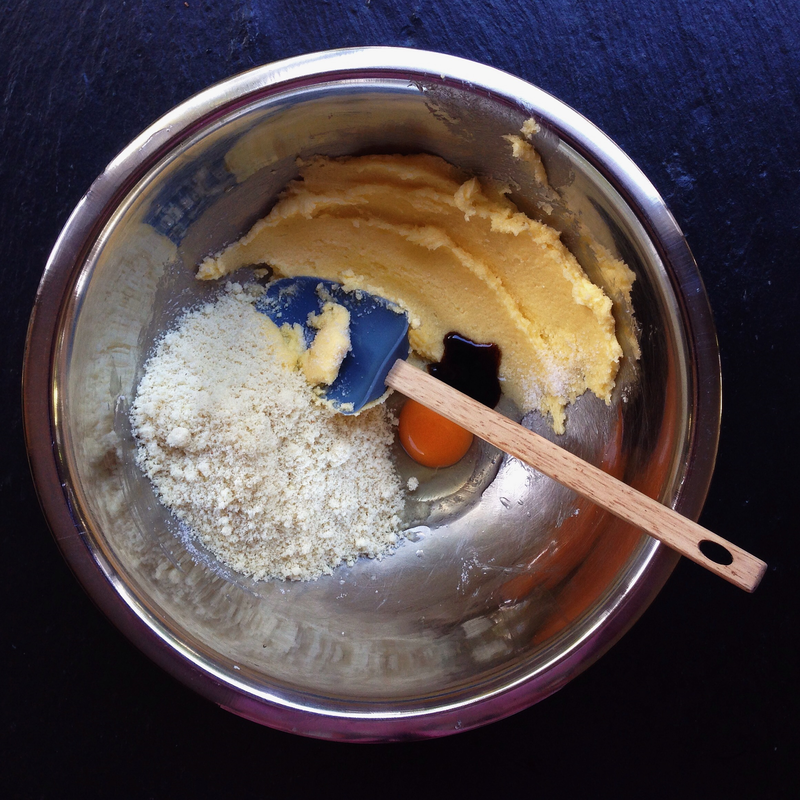 Add the remaining ingredients and stir until smooth. 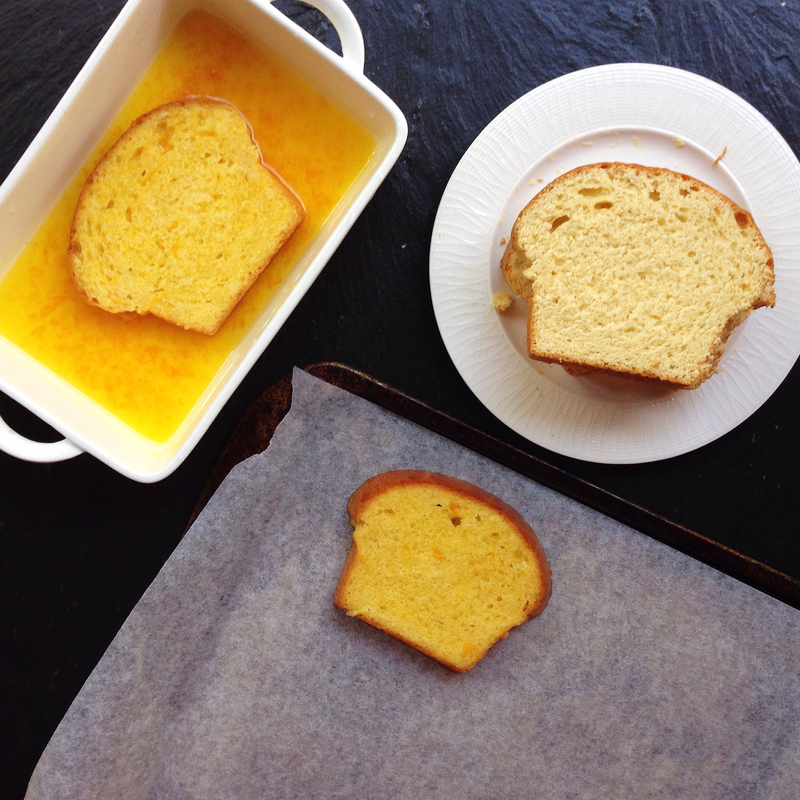 Dip each side of each piece the brioche in the orange syrup and place on a baking tray. 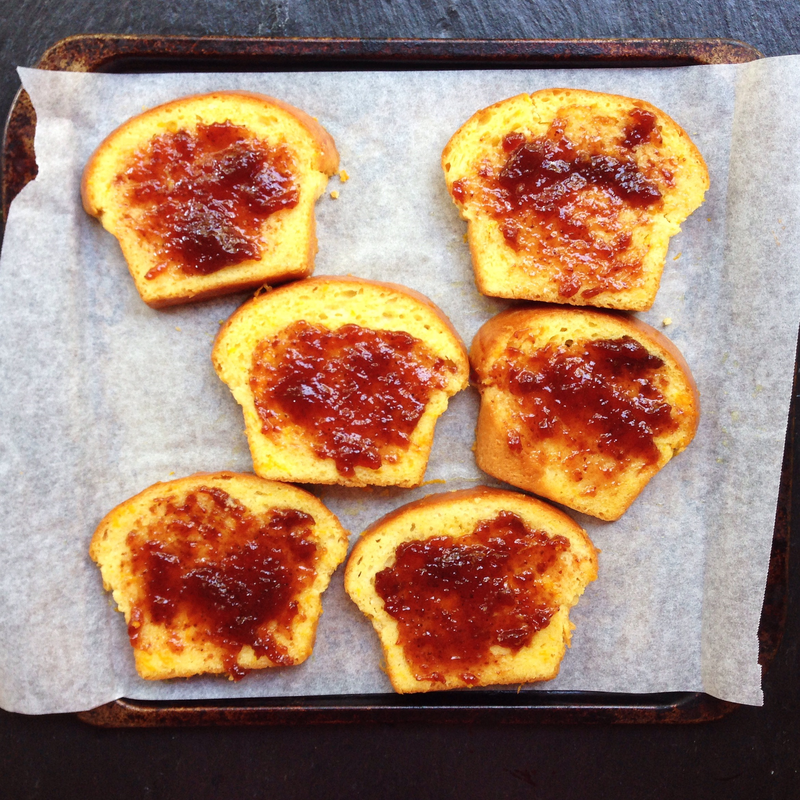 Spread one tablespoon of jam over each slice. Cover with almond cream. Sprinkle over the sliced almonds. Bake in the oven for 15-20 minutes at 180C (350F). To serve, dust with icing (powdered) sugar and add fresh seasonal fruit. 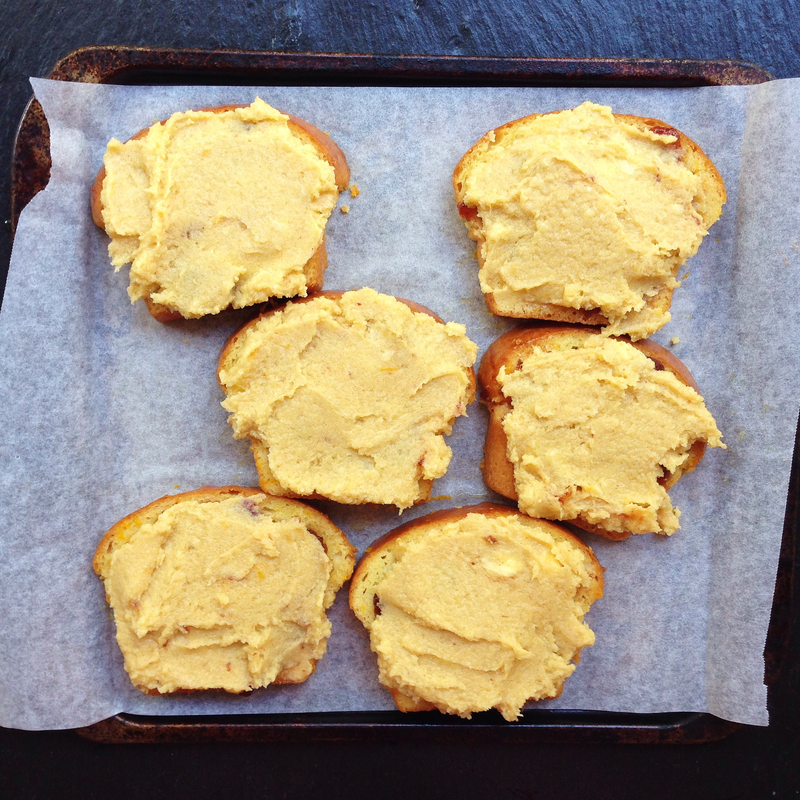 Posted in Brunch, PastryTagged almonds, brioche, brunch, franceBookmark the permalink. I’ve never heard of Bostock before, but WOW. I am VERY intrigued and interested in giving it a try. Thank you for sharing! This is new to me too, and I am definitely trying it! It looks and sounds absolutely delectable. Ooh this sounds really good, I’ll have to stop by the bakery next time I’m in New Farm. Thanks for linking up with us for Fabulous Foodie Fridays, have a great weekend!